Bruxism is a common condition that occurs in patients and many of them do not even know that they have bruxism. The term, bruxism, means teeth clenching. It is something that anyone can do at some point in time, especially when you feel stressed out. Bruxism occurs when a patient clenches their teeth or jaw while the patient is sleeping. While the condition can occur during the day, it is not as common as at night. Fortunately, if you do have bruxism, you are not alone. It is one of the most common known sleep disorders that happens to patients. Chewing is considered a neuromuscular activity, which means that it is done in your subconscious mind. When you fall asleep at night, your subconscious process may start to become active, and this results in bruxism. Some of the most common symptoms that can occur from bruxism include depression, earaches, eating disorders, headaches, chronic stress, and anxiety. If you are experiencing teeth clenching or you would like to talk to one of our dentists here at Thornton Town Center Family Dental, do not hesitate to call our office. We offer a comprehensive treatment approach to bruxism. This includes the use of the BiteStrip. This device helps to monitor the jaw muscles as you sleep, the severity of the condition, and the frequency of it. From here, we can create you a treatment plan to stop bruxism. Should I Seek Treatment for Bruxism? It is important that you seek out treatment for bruxism as it can result in serious conditions that can affect your overall health and oral health. Below, we will explore some of the reasons WHY you should receive treatment. Facial pain and headaches. Bruxism can eventually shorten your teeth and cause them to become blunt. This can lead to muscle pain in the myofascial region and it can even lead to serious headaches that you cannot shake off. Gum recession. The number one cause of gum recession and tooth loss is bruxism. Grinding your teeth can lead to soft tissue damage, which then leads to a loss of the teeth. If your teeth become loose, deep pockets can form and bacteria can then gather in the pocket and lead to decay of the tooth and bone itself. Arthritis. In severe cases of bruxism, you can develop arthritis in the TMJ joints and these joints are responsible for your jaw opening and closing. Arthritis in these joints can be extremely painful. Occlusal trauma. 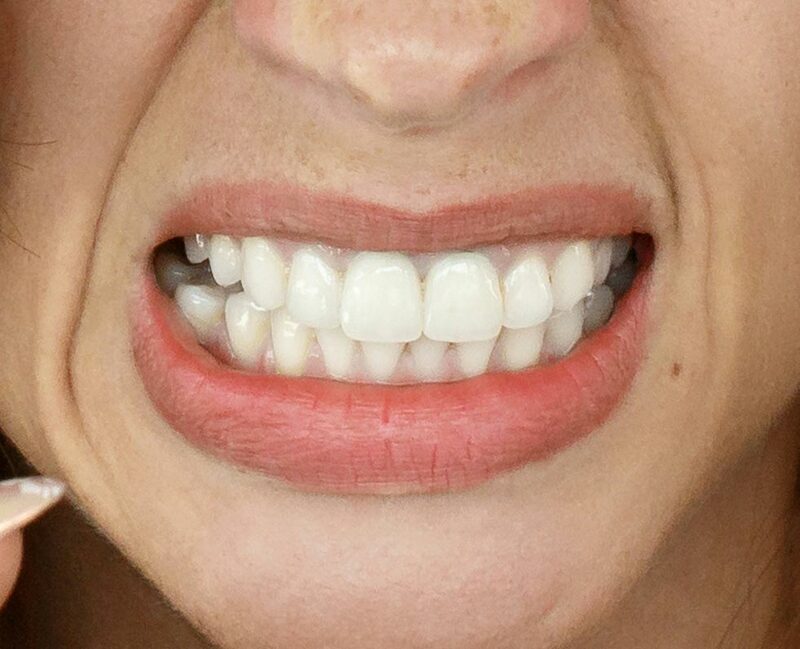 Bruxism can lead to uneven wear on your teeth and this can result in fractures of the teeth and when left untreated, they can become worse, break, or fall out and you may need a restorative procedure later on down the road. Tooth reshaping is one of the instant treatment options that is available to help with bruxism. Dental reshaping and contouring is a procedure that will correct chipped teeth, crooked teeth, and even teeth that overlap. You only need to come in for one session and the results are immediate. The process is often suitable for some patients who have braces. One key thing about this procedure is that it offers subtle changes to your teeth, so you do not have to worry about any major changes. In fact, you will receive only a few millimeters of reduction to the tooth and only a few millimeters of tooth-colored laminate are actually involved. Dental contouring is commonly used for individuals who want to change the position of a tooth, lengthen a tooth, or reshape a specific tooth. Unfortunately, there is no single known cure for bruxism but there are treatment options available that can help aid you. There are many devices out there too that will help treat the condition and one such device is a mouthguard. The mouthguard is made from an acrylic material, which is soft and safe for your teeth. The guard is placed in your mouth while you sleep and prevents the teeth from placing pressure on themselves or grinding.